Gujo Hachiman – a mystic castle-town of clear streams and exquisite water. Gujo is a tourist spot in Gifu that aptly blends natural beauty, commercial tourist destinations and interesting cultural attractions. We introduce you to the best of Gujo. Amida-ga-taki Falls, a famous sight-seeing destination is also enlisted as one of the 100 best Japanese waterfalls and 50 exquisite waters in Gifu. One can walk along the winding pathway to the base of the fall to get a closer view. Katsushika Hokusai depicted it as Ukiyo-e (a genre of Japanese woodblock prints developed during the 17th and 20th centuries) in “Waterfalls in Various Provinces”. The solitary Japanese cedar, a sacred tree towering the entrance to the Togakushi Shrine, is said to be over 700 years old. 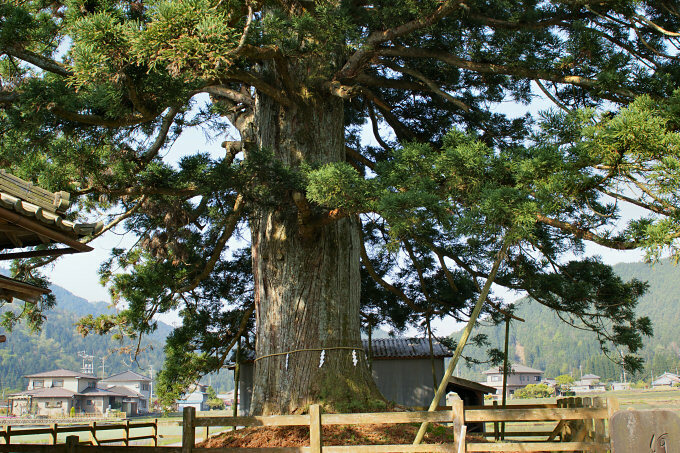 This cedar tree is designated as a natural treasure of Gifu Prefecture. It is very beautiful and magnificent when illuminated at night. There are some mystical waterfalls in Meiho area. Of these mystic beauties, the Ogawa Great Falls linked to an ancient folklore relates that Ogawa Geat Falls are a replica of the Kannon (Boddhisattva) drinking water. One should surely go at least once to witness this mystical figure. Gujo Hachiman Castle was founded by Morikazu Endo, a feudal lord in Warring States Period, in 1559. The entire stone wall of the current castle is designated as a historic prefectural site. The donjon (castle tower) is also an important structure that is designated as a tangible cultural asset of the city. A repository of Mt. Enkyo Anyo-ji Temple located in the town houses in Gujo Hachiman has a magnificent main building as its trait. This structure is said to be the biggest in Gifu Prefecture. Visits to these treasured sites is a must since many of them are open to the public. 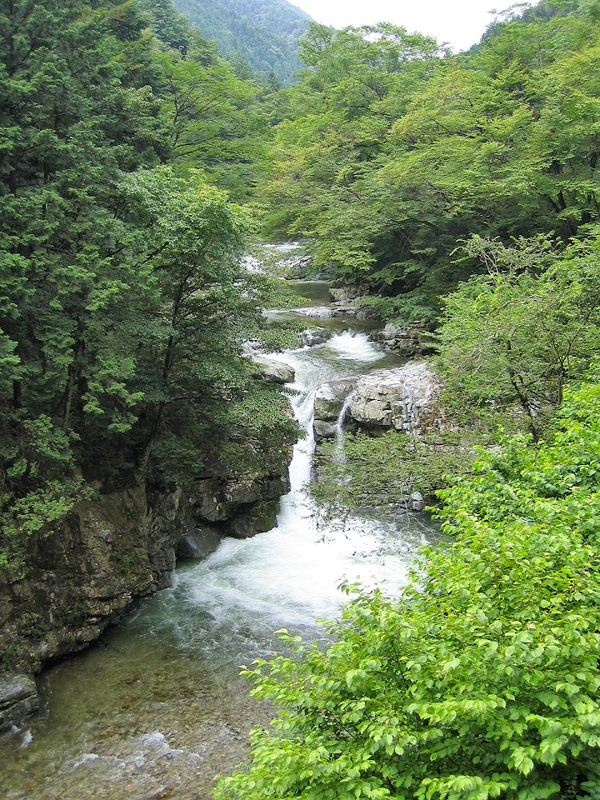 Gujo Hachiman is charismatic with its rare mix of history and mystical nature. A short visit will imbibe tourists with a feel of history and nature.